I have been noticing this problem in a few pen-drives for quite a lot of time, and now this has occurred to mine. When I double click on the pen-drive icon, I find a pen-drive short-cut icon to %windir%\System32\rundll32.exe \~$n.dqu,cxcxcscxgxcbgpzm. What is the problem? Is it safe? And how can I make it normal? If it helps, I am using this pen-drive on Windows 8.1 and 7 laptops. The problem started after plugging it to the Windows 7 one (not immediately after plugging it, but after a few weeks). I bet this is a virus. This occurs when you plug your USB on a system that has this virus. 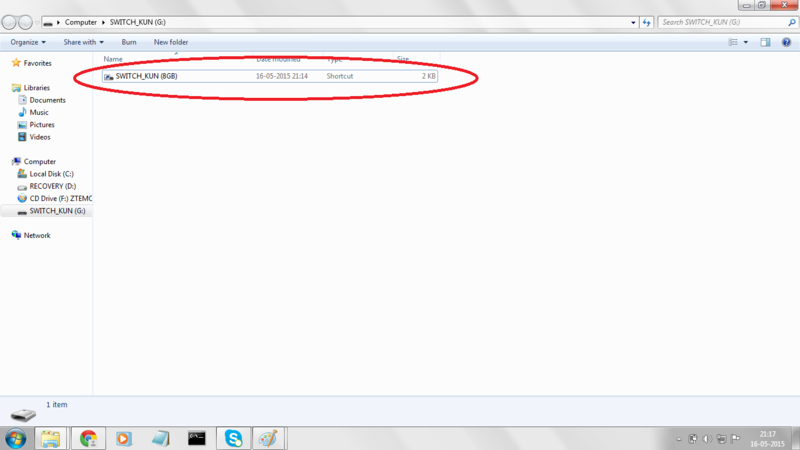 It just hides all the files in the drive, and creates a shortcut to a virus exe. That shortcut surprises the users of other systems, and when they run it, it's activated. You can simply get rid of this with a boot time antivirus scan, and WinRar (Trial version works) or also 7-zip if you want opensource free tools. Using it, type the drive letter in the address bar, you can see all the files, and the shortcut along with the virus executable. Delete all of them, un-hide your files (right-click and properties). Now do a boot scan (scanning before the OS boots, avast supports this in the free edition) to prevent any other viruses that might be crept in. 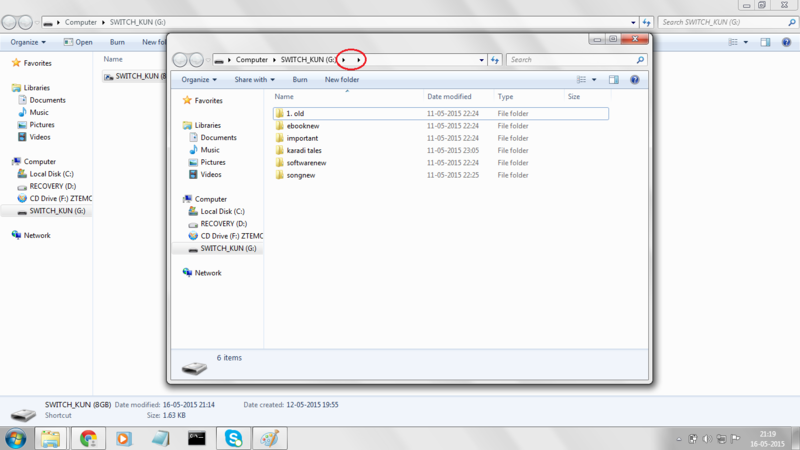 EDIT: I have got this virus again when I used my pendrive in a cafe, so I made a video showing how to recover the files. This appears to be a long-standing virus. There are a number of places giving advice on how to remove the virus including "How to Remove Shortcut Virus in PC and Flash Drive". They have a tool for removing the virus though they don't claim a 100% success rate and offer alternative approaches if it doesn't work. Where f: is the drive letter of your pen drive. If some of these problems are there in your system then it is most probably occurring due to some Trojan Horse already present in that system. That Trojan Horse might replicate itself to any external device that is attached to this computer. In addition to these you can generate hijackthis report and show it to a security expert for detailed analysis. Not the answer you're looking for? Browse other questions tagged windows usb-flash-drive file-shortcut or ask your own question. What is SuperFetch and its relation to svchost.exe - LocalSystemNetworkRestricted?